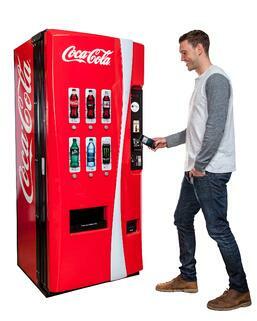 As a leading supplier of FREE vending services nationwide, Vending Group provides free Coke vending machines for all kinds of locations across the U.S., including hotels, offices, retail stores, apartment communities, and more. We'll get the machine installed, make sure it stays full of product, and handle any service or repair issues, all at no cost. 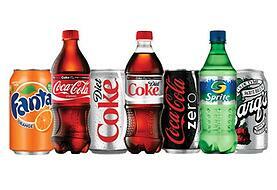 Coca-Cola is one of the world's most popular beverage companies and offers a wide variety of products. Get a vending machine with the flavors you want: Coca-Cola, Diet Coke, Cherry Coke, Sprite, Fanta, Dasani Water, Powerade, and more! 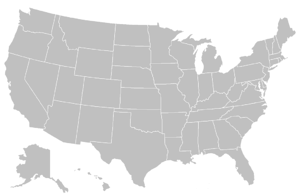 With our full-service program, installation and ongoing service is entirely FREE. No set-up fees, no charges, no monthly bills. How big is a Coke machine? The standard size measures about 72"x39"x33". For more detailed information, visit our Coca-Cola machine dimensions page. How many flavors does a Coke machine have? Traditional 'stack' vending machines hold 7-9 selections, while glass front machines can hold more. For more information about our free vending services, visit our FAQ page.